Description This College Park, Georgia hotel has free internet access, non-smoking guest rooms and an on-site restaurant. This hotel is also pet friendly. 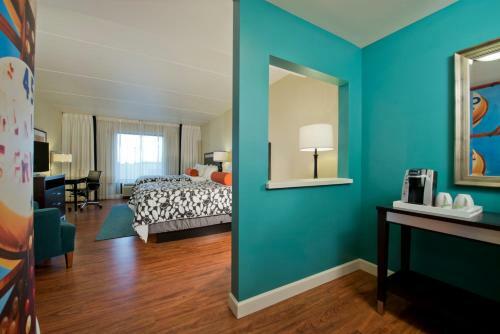 Free Wi-Fi 42-inch flat-panel TVs and a perch that's five miles from the airport entice guests at the non-smoking Hotel Indigo Atlanta Airport College Park. 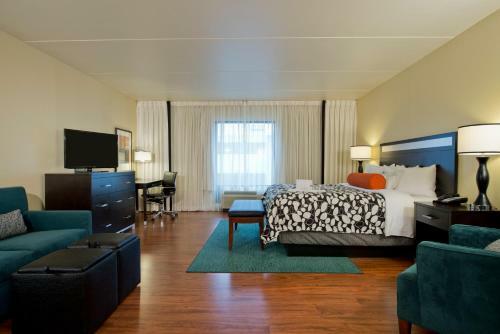 Each of the 142 rooms at the non-smoking five-story Hotel Indigo offers free Wi-Fi and high-speed wired internet a 42-inch flat-panel cable TV iPod docking station individually controlled air conditioning an over-sized desk ergonomic chair and coffeemaker. Bathrooms features spa-inspired showers. Some rooms have microwaves and mini-fridges. When hunger hits head to the in-house restaurant and bar. The fitness room is a welcome sight to guests who've been cramped on a plane. There's also a business center on the premises complete with fax and copy services. The airport shuttle is free as is parking. Hotel Indigo is in College Park eight miles from Clark Atlanta University and 12 miles from Georgia Tech. The World of Coca Cola and the Georgia Aquarium are both nine miles away. Centennial Olympic Park is an 18-minute drive. Jimmy Carter Presidential Library is 11 miles by car. 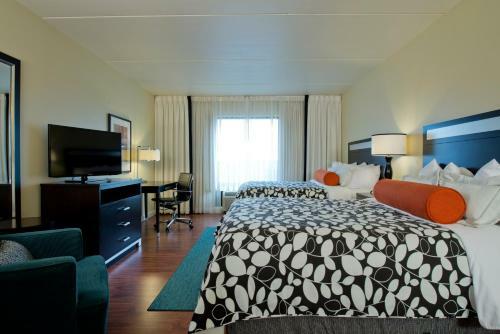 The hotel is five miles from Atlanta Hartsfield-Jackson International Airport. 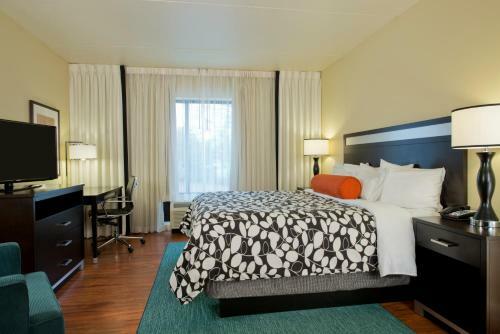 Add Hotel Indigo Atlanta Airport College Park to your free online travel itinerary.